Additional Info: PRESTIGE WITH DECKING!! XBox- 2 controllers and a large selection of games (Children's and Adult's games) 40" TV with Free View. Wrap around decking and gate lock. 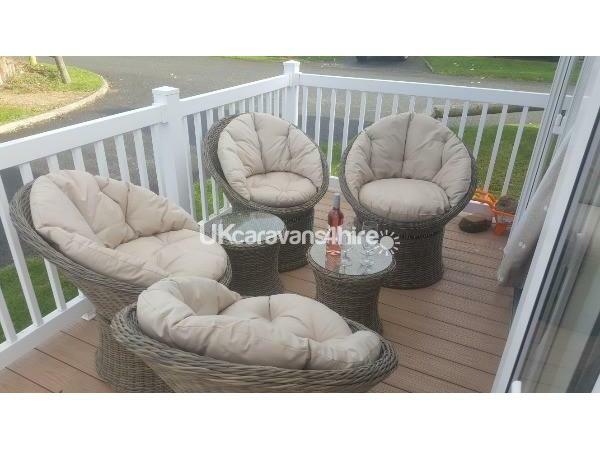 Beautiful BRAND NEW Bucket Rattan chairs x4 with matching tables and outdoor heater. Family games and toys. 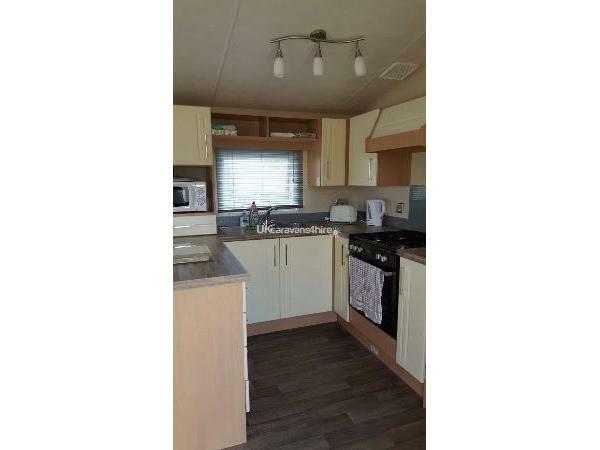 Table tennis table, mountain bikes, lots of sandcastle making equipment, inflatable dinghy and outdoor games in the shed at the rear of caravan. Please note that valid check-in days are Monday and Friday. Weekend breaks are based on 3 nights - Friday to Monday, midweek breaks are 4 nights - Monday to Friday. 7 and 14 night breaks also available. If you require a Saturday check-in day, we may be able to accommodate you, but this will incur additional charges to those advertised. Please enquire and we will try our best to fit you in. 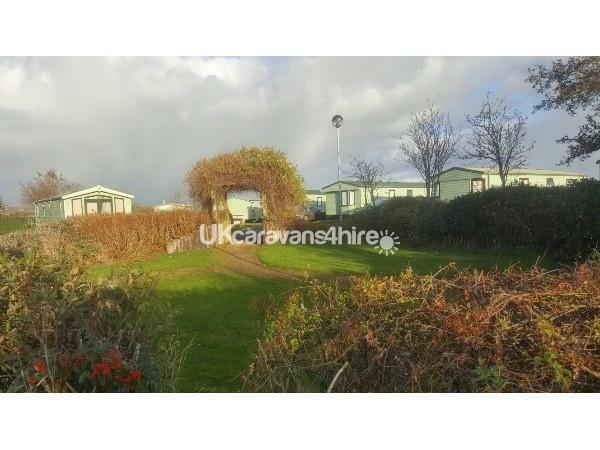 £100 breakages/damages deposit will be taken to secure your dates, then returned after inspection of the caravan. Full payment is required 4 weeks before your arrival date. Pillows and Duvets are provided, but please bring your own bedding and towels (If this is a problem we are happy to come to an arrangement). NEW LISTING!!!! PRESTIGE WITH DECKING!!!! 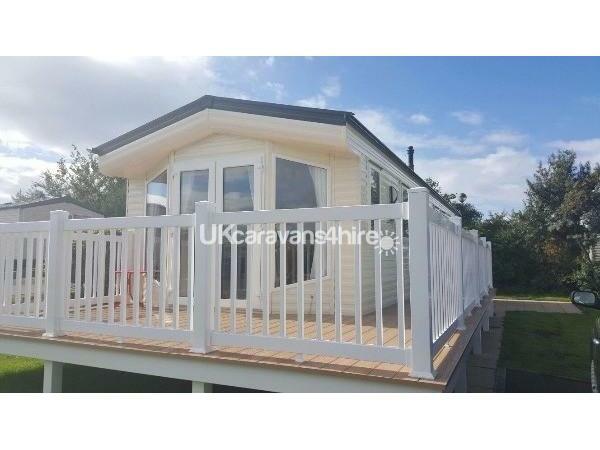 This IMMACULATE Willerby Sierra is newly available to book at Hafan Y Mor Holiday Park, North Wales! 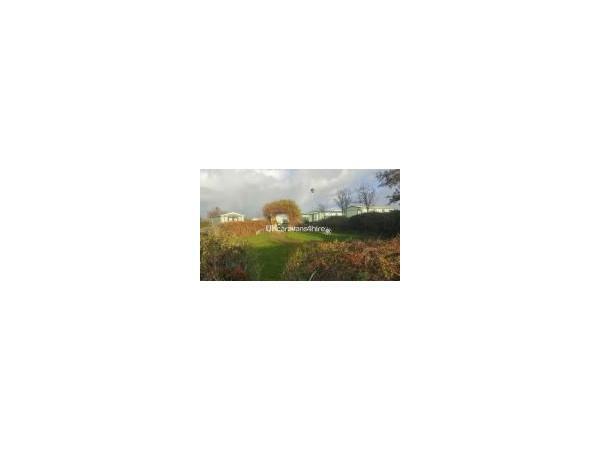 Located in a quiet cul-de-sac on the Waterside area of the park, it is a short walk to parks and entertainment and just steps away from the beautiful beach. 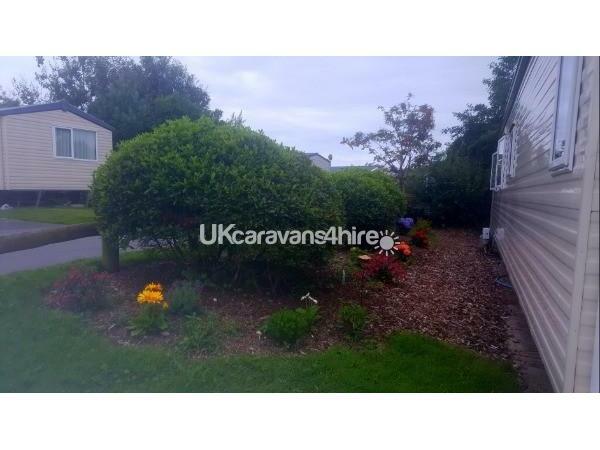 From quiet days lounging around the caravan or going for a stroll on the beach, nature walks through the beautiful wooded areas to the fun pack entertainment that Hafan Y Mor has to offer, our caravan is the perfect cosy base for a holiday to remember. 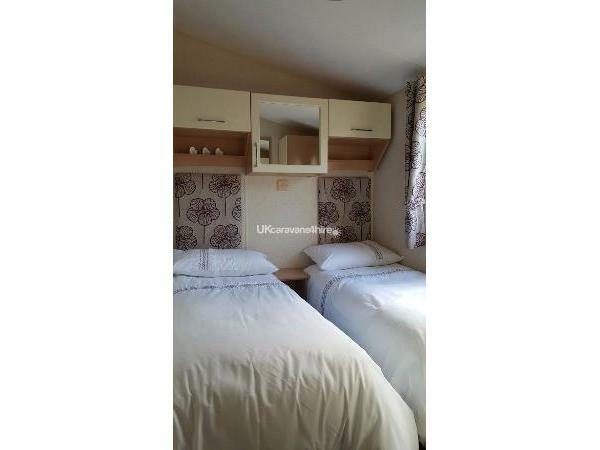 The caravan has 3 bedrooms - 2 twins and 1 double with ample storage. 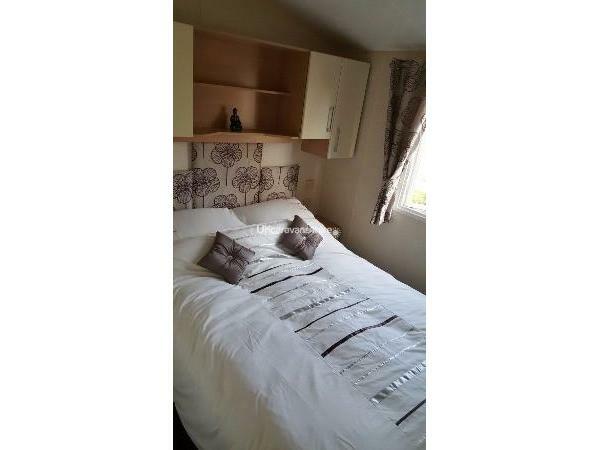 There is also a comfy pull out double bed in the lounge to allow a capacity of 8 guests. 2 bathrooms, 1 with full size powerful shower. The lounge has a large sofa and 40" free view TV and Xbox 360 with a few games suitable for both kids and 'big kids', Full Kitchen with all utensils and family dining table. Full size wrap around decking with a safety gate that locks. 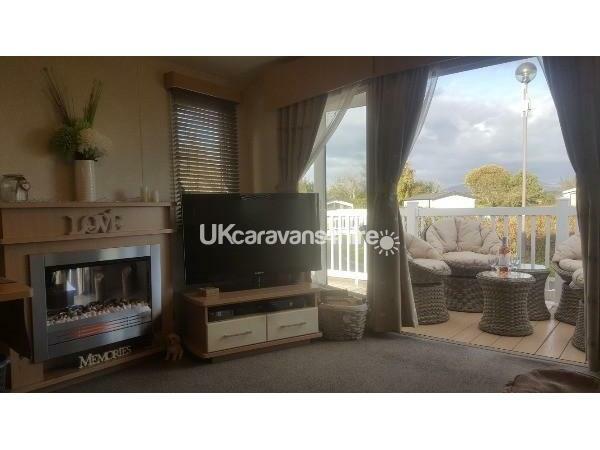 Brand new decking, Rattan furniture, tables and patio heating. 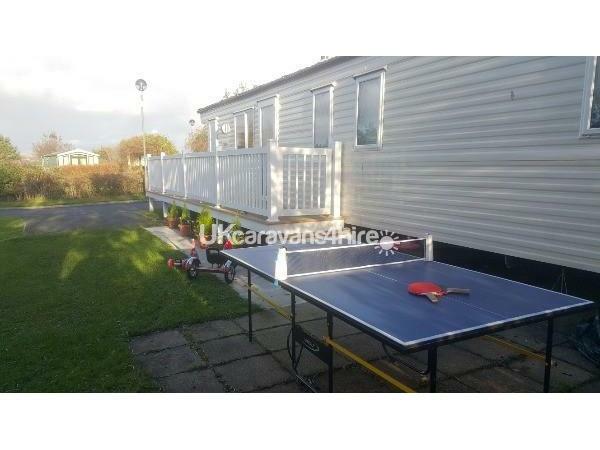 Outdoor games, including full size tennis table in the shed at rear of caravan. 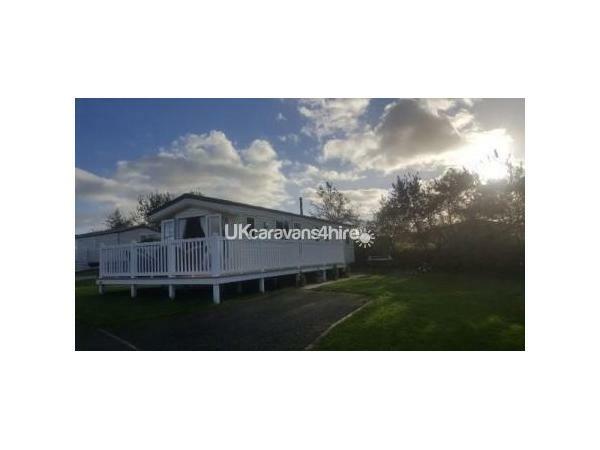 There is also a quiet woodland area infront of the caravan where you can watch your children play from the decking (see images). Prices shown are indicative - please contact us to discuss. Valid check-in days are Monday and Friday. Weekend breaks are based on 3 nights - Friday to Monday, midweek breaks are 4 nights - Monday to Friday. 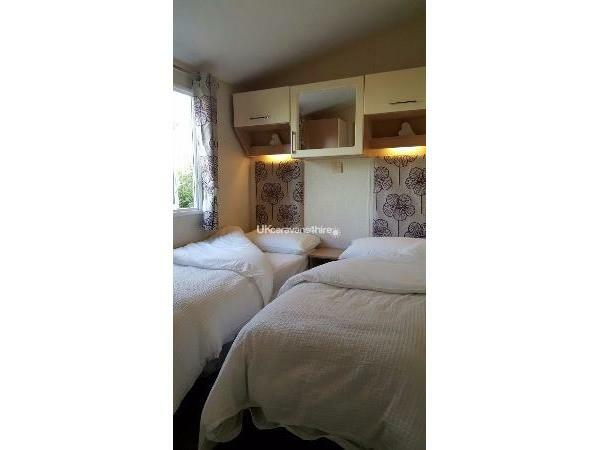 7 and 14 night breaks also available. If you require a Saturday check-in we may be able to accommodate you, please enquire and we will try our best to fit you in. Please note, our prices do NOT include Fun Passes. These can be purchased (if required) at the Reception when you arrive.